On the heels of the Internet PPV debacle that was the Floyd Mayweather vs. Conor McGregor fight on UFC Fight Pass, the UFC announced a new partnership with FITE TV for online streaming, with UFC 215 as the first step in the partnership. This is an interesting move, one that solves an immediate need for the UFC and creates opportunities for the future. “Embarrassment” is the best choice of word to describe the online failure that prevented many fans from watching the Mayweather vs. McGregor boxing PPV on UFC.tv a few weekends ago. The organization has promised to refund money to those that were affected in hopes to correct the problem. The move to add FITE TV creates a compelling future for the UFC within the digital space. While there are still questions about the UFC’s partnership with NeuLion, this move brings the company to an established brand with the strength to keep the UFC product in front of online crowds. 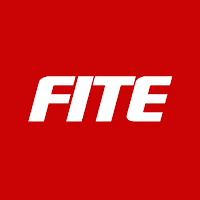 FITE TV is a “young” platform, started back in February of 2016, but since that time the organization has presented more than 500 live combat sporting events. Entities across professional wrestling, boxing, Muay Thai, and competitive grappling use FITE TV to broadcast their events. 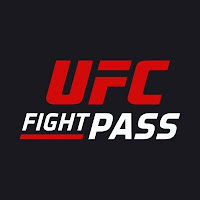 In some ways, it could be seen as a direct competitor to the UFC’s Fight Pass platform, the traditional destination for viewers looking to watch UFC events online. In fact, as FITE TV is broadcasting PPV events as well as other UFC offerings, such as press conferences and weigh-ins, that competitive role will only be highlighted. The ability to stream events online and on demand is a significant requirement for any organization that develops content for customers. However, the UFC has yet to reconcile all of the platforms it uses for content curation. UFC Fight Pass, UFC.tv, YouTube, and now FITE TV make up the list of options available to fans that want to watch UFC content. Consolidating those options could allow the UFC to better control its content and recoup the revenue provided by such presentations, but there are also advantages to fans being able to find UFC content on alternative platforms like FITE TV. After all, being alongside promotions such as Ring of Honor and ADCC provides opportunities for additional exposure to audiences who may still be unaware of the UFC product. The UFC has an important opportunity in the digital space with FITE TV. This is a partnership that the UFC sought in order to fill an urgent need, as NeuLion failed when the lights were the brightest. FITE TV has helped the company address that problem, and it has presented the UFC with further opportunities to benefit as it continues to expand in the future.